Important rulers were Chandragupta Maurya, Bindusara and Asoka. The religion followed during this period was Hinduism. Chandragupta Maurya in his last few days adopted Jainism. Asoka adopted Buddhism. The Mauryan Empire was founded by Chandragupta Maurya at a young age of 20 years. He is believed to be the first ruler of unified India after he brought almost the entire country under one Empire. In his conquests, Chandragupta Maurya was guided by Chanakya. Chanakya was also known as Kautilya. Chanakya played an important role in Chandragupta Maurya’s life by helping him rise to power and establish the Mauryan Empire. Chandragupta defeated the commander of Dhana Nanda, Bhadrasala and Dhana Nanda and captured Pataliputra, the capital city of the Nanda Empire and established the Mauryan Empire in northern India. Chandragupta Maurya established the Empire by conquering Macedonian satrapies in north-west India or the present day Pakistan. He ascertained a centralized rule throughout South Asia by forming an alliance with Seleucus I Nicator. The Mauryan Empire stretched from Bengal to the Arabian Sea, modern day Afghanistan and Baluchistan in the west, in the north it covered regions from Kashmir to Nepal and stretched up to the Deccan Plateau in the south. The Mauryan society was divided into approximately seven main castes namely, Brahmans who were the philosophers; Sudras were the farmers and herdsmen; Kshatriyas were the soldiers; Magistrates; Artisans and Army. It is believed that the Brahmans were not required to pay taxes. In the Mauryan period, the caste system underwent through turmoil. It was mainly because of the changing nature of the economic status of the Empire. There was a lot of friction between the different castes. The establishment of guilds added new problems. The guild leaders were of the opinion that they should be acknowledged as a part of the higher castes. During the Mauryan times, slavery was steadily forming a part of the society. Entertainment included singing, dancing, music, wrestling, animal- fighting, theatre, gambling, and chess. The Mauryans also celebrated many festivals and these were regarded as the social gatherings. The role of the army in politics and economy comprised an important part of the Mauryan society. There was growth in the status of guilds which contributed to the complex social patterns. Asoka was the last capable ruler of the Mauryan Empire and those who succeeded him could not control the vast territories of the Empire. The last ruler of the Mauryan Empire was Brihadrata. 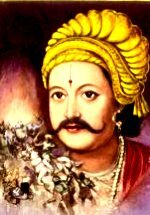 He was killed by his commander- in chief of the guard, Pushyamitra Sunga in 185 CE. After the death of Brihadrata, Pushyamitra Sunga established his Sunga dynasty. During the early Sunga kingdom period, there was a revival of Hinduism. After the death of Asoka, the Mauryan Empire was divided into two parts. The division of the Empire was another reason for the decline of the Empire. Demetrius, the Greco-Bactrian king took advantage of the division of the Mauryan kingdom and established the Indo-Greek kingdom in 180 BCE. The Indo- Greek kingdom ruled until 70 BCE. One of the reasons for the decline of the Empire as argued by many historians was the revolt that took place during the reign of Asoka. It is believed that the revolt was a result of many factors like increase in the land tax, oppression, ban on Samajas, etc. Another factor that contributed to the fall of the Empire was the complete centralization of power and authority in the hands of the kings. The kings thus exercised a monopoly of all powers. During this period the executive and the judiciary were not separate. There was a lack of political unity in the Mauryan Empire. Some other factors like the ownership of land and the differences in the economic and cultural levels of the people eventually led to the decline of the Mauryan Empire. Important Rulers of the Gupta period were Chandragupta I, Samudragupta and Chandragupta II. The religion followed during this period was Hinduism as well as Buddhism. The origin of the Gupta kingdom is ambiguous and continues to be a topic of debate among many historians. The Gupta’s rose to power sometime around 240 AD. The founder of the Gupta Empire was Sri- Gupta. He ruled from 240- 280 AD. During the reign of Sri- Gupta the Gupta Empire comprised of Bengal and some areas of Bihar. However, the Empire reached its zenith during the rule of Chandragupta I. Chandragupta I was the grandson of Sri- Gupta and ascended the throne as the ruler of the Gupta Empire after the death of his father, Ghatotkach. He was considered to be a powerful ruler who expanded the territories of the Empire. Chandragupta I had acquired the Lichchhavi dynasty Kingdom by virtue of his marriage to the Lichchhavi Princess. It comprised of an area stretching from Ganges River to Prayaga (modern-day Allahabad). Chandragupta, I was succeeded by two most capable and powerful rulers like Samudragupta and Chandragupta II. During this period there was peace and harmony in the society. The society was however rigid. Many castes and sub-castes evolved. The social ranking or caste of a person was decided by his trade or profession. The society was classified in four castes namely; Brahmans, who carried out activities like trade, architecture, service, etc. The Gupta rulers were Vaishyas. The Kshatriya’s practiced industrial vocation. Sudras were engaged in activities like trade and agriculture. People lived in joint families and the society was primarily male dominating. There were over-all prosperity and development in the Gupta society. The women were given secondary position in the Gupta Empire society. Widow remarriage was permitted at times. The incidences of Sati were rare but they took place during the Gupta period. The practice of untouchability gained momentum in this era. Education played an important role in the Gupta period. There were many educational institutions. Cities like Pataliputra, Ayodhya, and Nasik were significant educational centers. Nalanda and Takshila were two popular universities which attracted students from foreign countries. Women were allowed to obtain an education. The food consumed by the Gupta people was very simple. It is believed that they were strictly vegetarian and excluded onions, garlic, potatoes and wine from their diet. Entertainment during those days included dances, musical concerts, gambling, animal fights, etc. The religion followed during the Gupta period was Hinduism and Buddhism. Agricultural festivals were celebrated by the people along with other festivals. These festivals were often associated with the religious beliefs of the society. Gods and goddesses like Vishnu, Shiva, Lakshmi, Parvati, and Durga were worshipped and formed an important part of the religion. Skandagupta was regarded as the last great ruler of the Empire. The threat of invasion had begun during the reign of Kumaragupta I. Pushyamitra tribe had made several unsuccessful attempts to invade the Gupta Empire but were defeated by Kumaragupta. 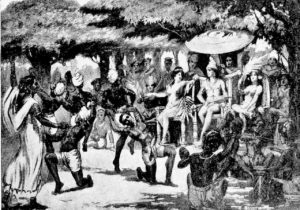 During the reign of Skandagupta, the Huns tried repeatedly to conquer the Gupta territories but were defeated by Skandagupta. His successors were weak and could not control the vast Empire. The invasion by the Huns was one of the main reasons for the decline of the Empire. The Huns were successful in invading the Gupta Empire after the death of Skandagupta. 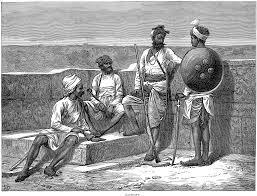 They conquered many provinces of the Empire like the Malwa, Gujarat, and Thanesar. Despite their continuously declining power the Gupta’s managed to fight the Huns for some time. Narasimha Gupta of the Gupta dynasty formed an alliance with the independent kingdoms to prevent the Huns from entering the northern Indian regions. The smooth functioning of the Gupta Empire was severely affected by Yasodharman, the Malwa prince. The reign of Yasodharman did not last for a long but it certainly challenged the Gupta authority and power. The Gupta Empire also suffered because of the invasion attempts made by Toramana and his successor Mihirakula. The Gupta Empire was affected by the expansion of the Vakataka kingdom. The management and control of the Gupta Empire were also seriously affected by the widespread unrest within the kingdom. Some states had declared their sovereignty owing to the inability of the Gupta rulers to control the vast territories of the empire.